A new study has recently been published from the National Center for Health Statistics (NCHS, part of the Center for Disease Control and Prevention) showing body weight status and trends of obesity in U.S. adults and youth. The National Center for Health Statistics, which performs surveillance of disease rates and reports at regular intervals, has had obesity on their radar for years. There are several important findings (regarding adults) I will point out in this blog, and present them in a “good news, bad news” format. Which one do you want first? (To calculate your own BMI, click here and you can plug in your own height and weight to get your BMI). The prevalence of obesity has remained “stable” between 2003-2004 and 2011-2014, according to the researchers. Just because there wasn’t significant increase in obesity the past 10 years, it does not mean there was no increase. The proportion of obesity in US adults has been increasing every year, just rising slower. So, just looking from left to right, it’s not hard to see the proportions of obesity has been steadily rising over time. The trend is similar both in men and in women. Also, it was already a bad percentage in 2007-08, with more than 1/3 of the population classified as obese. The number is now approaching 40%. Epidemic proportion, no? The concept that eating “healthy” or “balanced” will help you lose weight. This is NOT TRUE. The abundance of grains, fruits and vegetables. While there are health benefits with these foods, they all belong to a food group of carbohydrates. 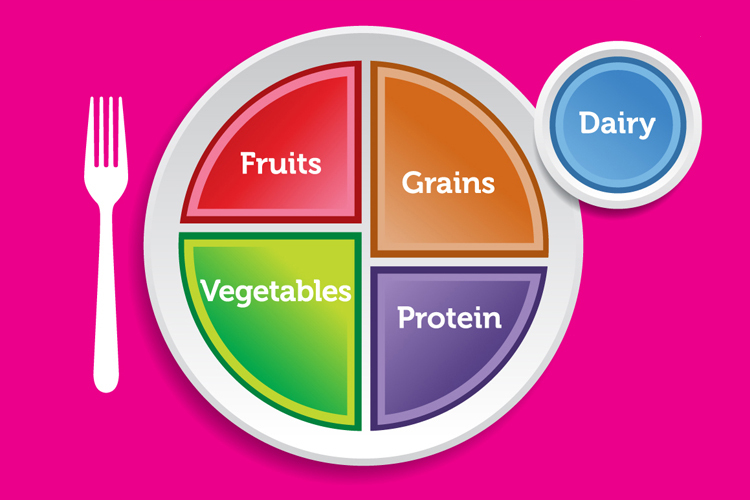 Look at MyPlate again, it looks like >75% of MyPlate consists of carbohydrates (one of many problems with the MyPlate diagram)! My point is, there is a reason the proportions of overweight and obesity continue to rise, and the way to control it is NOT eating a “balanced diet” or “lots of fruits and vegetables”. 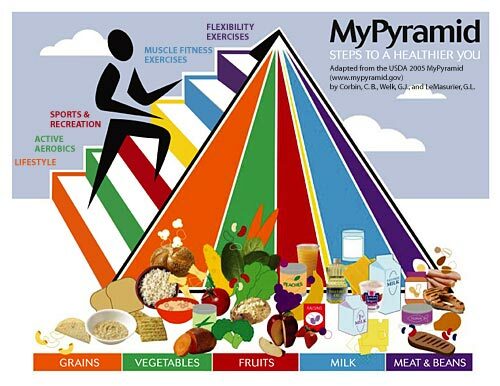 The diet needs to be unbalanced in a healthy, controlled manner, in order to achieve effective, consistent weight loss. In my next post I will talk about the ketogenic diet, a scientifically proven, effective diet that forms the basis of the diet program (Ideal Protein) at our clinic. And this diet does what I just said: an unbalanced but healthy way of eating that promotes loss of body fat. Stay tuned. PS. In the weekly workshop conducted at our clinic, Pflugerville Wellness Center, I go over details of the Ideal Protein program and how it helps people lose weight effectively. Please call (512) 251-9686 if you are interested in attending the FREE workshop. Ogden, C. L., Carroll, M. D., Kit, B. K., Fryar, C. D., & Flegal, K. M. (2015). Prevalence of Obesity Among Adults and Youth: United States, 2011-2014. NCHS Data Brief, No. 219 (November 2015), 1-8. Flegal, K., Carroll, M., Ogden, C., & Curtin, L. (2010). Prevalence and trends in obesity among US adults, 1999-2008. Jama, 303(3), 235–241. Ogden, C. L., Carroll, M. D., Kit, B. K., & Flegal, K. M. (2014). Prevalence of childhood and adult obesity in the United States, 2011-2012. JAMA : The Journal of the American Medical Association, 311(8), 806–14.